Internet marketing deals with how consumers or patients discover (find), research, evaluate and eventually decide on a provider from which purchase goods and services via the Internet. Internet marketing is similar to the general field of marketing in scope with the exception that Internet marketing is based on pull methodologies rather than the push methodologies of traditional marketing. With traditional marketing you push out your message, whereas online you “reach” patients by pull them into your website or office via a number of inbound channels. Each of these internet marketing strategies play a role in the patient journey – from initially finding a healthcare provider, to evaluate the provider versus similar providers and then finally how the patient decides upon which provider for care. Don’t worry if this all seems like too much – each strategy is explained in further detailed on InboundMD. For now, let’s not get too far ahead of ourselves with the ins and outs of internet marketing, but take a look at the advantages that come with internet marketing. 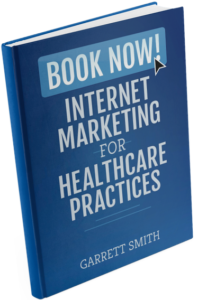 There are numerous advantages for healthcare practices when it comes to Internet marketing. Especially when they’re compared to traditional marketing counterparts. Cost – Internet marketing is relatively inexpensive compared to traditional marketing channels. Since the cost of delivering content (text, video, etc) are less than in the physical, offline, world healthcare practices can effectively grow awareness for their practice with even modest budgets. Engagement – The Internet allows patients to interact directly with providers through content, blogs, videos and social networks. Even the ads themselves can be interactive – patients love polls, surveys and multiple choice questions. Remember the best marketing doesn’t look like marketing at all. Targeting – Internet marketing allows you can get very specific with your marketing, targeting specific patients you want to reach with advanced activity, demographic, and life-event settings. These targeting features allow many healthcare practices to effectively reach groups of patients they could never effectively reach before. Measurement – Virtually everything on the Internet is trackable. Sure, this can be taken too far and border on creepy, but for a healthcare practice it allows for campaigns to be operated and measured based on established metrics. This means that you have the data to ensure you stay within your target cost per new patient acquired, ensuring profitability. Time – There are very few barriers to entry on the Internet, so creating and launching a campaign through the various online channels is less time and resource intense than most traditional channels. Whether you decide to go at it alone (or bring on InboundMD), is based on your own comfort level, expertise…and time available to execute. While there are many advantages to Internet Marketing, it’s perhaps more important to realize that Internet Marketing represents a bit of a paradigm shift as it relates to marketing in general. Let’s examine the advantages of Internet Marketing another way – the difference between push and pull marketing. WANT TO IMPROVE YOUR ONLINE VISIBILITY? When it comes to marketing there are two different strategies for reaching customers – push and pull. For decades brands created something (good or service) and then spent an enormous amount of time and money pushing this product through channels onto the end consumer or prosumer. This “push” is defined through a message (ad) directed at a consumer. Since traditional communication channels were A) limited (TV, print, radio) and B) controlled (your cable provider dictates programming), the messages delivered allowed for no interaction between brand and consumer. This created an environment in which the brand could control what consumers seen, heard AND thought about a particular product or service. This environment created an environment where only the largest and most well-funded of brands could effectively reach enough of the population (mass market) to sustain operations. The result of this was an environment where there was a limited amount of brands and products to choose from. It also made it hard for many healthcare providers to successfully marketing their practice. The cost of advertising through Newspapers, Radio and on TV prohibited all but the largest of practices from marketing themselves. With the advent of the Internet a new medium was created that allowed for consumers to find, evaluate and decide which products to purchase in a manner that was not available previously. This created a vast and uncharted environment in which consumers – your patients – could dictate what, how and when they were exposed to different products and services. The Internet also provided a medium in which interaction could take place between brands and the end consumer. As a result, consumers patients have migrated to the Internet in droves as they’ve gained the ability to control – or at least take part in – the messaging that they’re being shown from brands. This has given patient ever increasing say in how they are being marketed to and resulted has resulted in smart healthcare practices being present where their patients are online, creating messages that pull their patients to their website and practice. 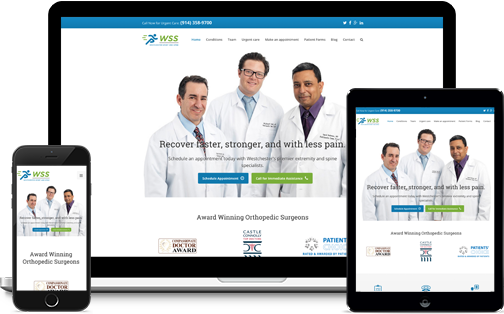 A perfect example of pull marketing for a healthcare practice is the creation of a well optimized healthcare website that ranks #1 in Google for its related search terms. Today, most internet marketing tactics and strategies are based on pulling a consumer/patient from a channel in which they use to find, evaluate, review and or compare a product/service back to one’s offering. This is often referred to as inbound marketing. Although push marketing was and is more prevalent with traditional marketing, some Internet marketing techniques are push in nature. Things such as email newsletters and Facebook allow for brands to push content out to consumers and patients, however, they must be subscribed in order to receive them. This means they want to be shown those messages. As well, consumers and patients can respond directly – something that newspapers, radio and TV don’t allow. Internet marketing still encompasses the four P’s of marketing – product, price, place and promotion. However, each of these four core aspects have evolved based on the workings of the Internet and the new marketing channels that have emerged. Product (People) – For decades traditional marketing started with a product. A product was produced and it was pushed upon the consumer. Today, product is now people – in other words people now dictate what is needed and how it is acquired (not brands). Price (Purpose) –Price has traditionally set the value of an item. It still does to some extent, though more important than price in setting value is purpose. Today, most buyers’ judge value based on the purpose of the product or service. Place (Position) – The place or how you got your product to buyers was the third pillar of marketing. Today, getting products and services to consumers is still a function, but more important than place is the position (search rank) or being “present” where buyers are going to discover, evaluate, review and compare potential products/services. Promotion (Passion) – The old world relied on promotions (discounts, sales, etc) in order to drive sales of new and or underperforming products and services. Today passion – or more like a company’s passion what it sells, determines whether or not a buyer will take notice. Passion is one of the most powerful of all human emotions – and it can’t be manufactured. Passion not only rounds out the new 4 Ps but completes the circle back to People. When People get Passionate about your Products, services and your company, they can help promote and build your brand faster and stronger than any kind of Promotion you could create on your own. The Internet has brought upon a fifth and what could be the most important P of them all – performance. Thanks to the Internet, almost all marketing tactics can be tracked in order to give you marketers insight into the performance of the tactic, channel and or campaign. Through website analytics, specific campaign tracking links and other technology, you can view every piece of the patients interaction with your clinic – from the first time a patient clicked on an ad to the the rating they left on your profile after their visit. These insights allow for metric based marketing and make understanding your return on investment (ROI) more transparent than ever before. This makes investing into your practice a bit easier to swallow. At worst, you’ll know what not working, so you can stop. Okay, so you’re convinced that you need to market your healthcare practice online, but where to you start. Well, before you run out and set-up a website, start posting on Facebook and asking patients to review you on Healthgrades, there a few things you want to do first. Define your target patients – Internet marketing all starts with a clear understanding of who you’re trying to attract. You can do this by creating patient personas, fictious archetypes for the kind of patients you want – and don’t want. “Ghost” your competitors – Once you’ve defined which patients you want to visit your practice, you need to take a look at what others in your area are already doing by posing as a caregiver or patient. You do this so you can understand what patients are experiencing with other practices – and what you can do better. Define your Strengths, Weaknesses, Opportunities and Threats (SWOT) – Now that you’re armed with an understanding of your local competitors, you can look inward and define the current Strengths, Weaknesses, Opporunities and Threats of your practic. 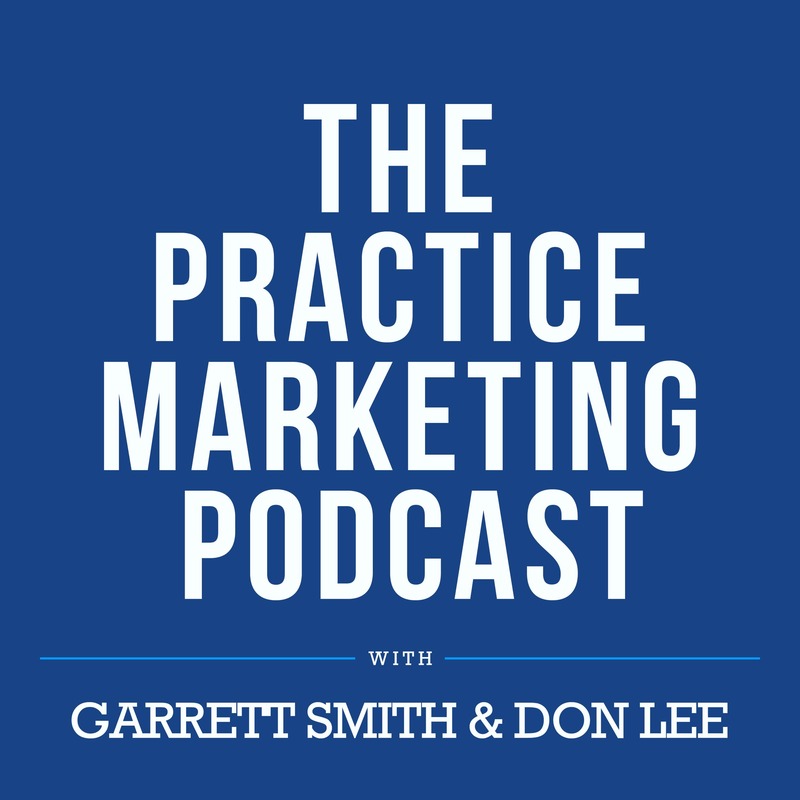 This will help you determine what makes you different from other practices so that you can best position the practice with patients in your market. Determine your unique selling proposition (USP) – From your SWOT analysis you can determine your USP. Your USP is important to develop and articulate – it’s the reason a patient would choose you over other providers. Without a USP, its impossible to position your practice and build messaging for ad campaigns. Document your brand voice – With your SWOT and USP determined, you can move-on to documenting your brand voice, or how you want to describe your practice, the tone you want your website to take and even what topics you will address on your blog. It could even extend to the personality or persona you take on social media. Conduct keyword research – At this point, you have almost everything you need to get started. The final data point you’ll want before creating a plan and implementing your marketing platform software, is to conduct keyword research. Since search engines are the number one driver of new patient acquisition for most practices, having a clear understanding of what patients are looking for in and around your specialty will help you focus your efforts properly. Create a Plan – Of course, before you start marketing, you need a plan. The purpose of the first six steps along the way is to give you the knowledge and insights required to create a plan that can achieve your goals. This plan should also help keep you on track and ensure your continued progress. Implement a practice marketing platform – Last, but certainly not least, you need to implement a marketing platform that will help you automate efforts, ensuring you are as efficient as possible. Your practice marketing platform will give you and your team the tools to execute on your efforts. It will also ensure your campaigns are being tracked, so you can easily make tweaks and determine ROI. Internet marketing can be a powerful way to grow your practice, but proceed with caution. The internet changes daily – what works today, may not work tomorrow. Heck, Google had a half-dozen updates just last year. There’s a lot to stay up-to-date on. That doesn’t mean you shouldn’t be using internet marketing to grow your practice. Just know that you do need experience, expertise and time in order to be successful. But that’s why we’re here – we’re always glad to help you get started or go to new levels.